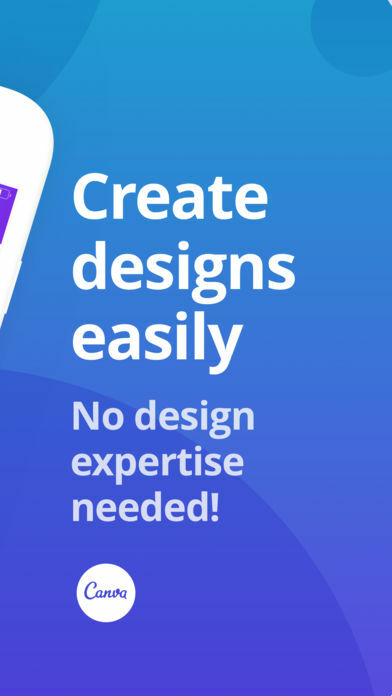 * Look more professional by creating posters, flyers, logos, blog headers, presentations and more using 60,000+ templates designed by professionals. 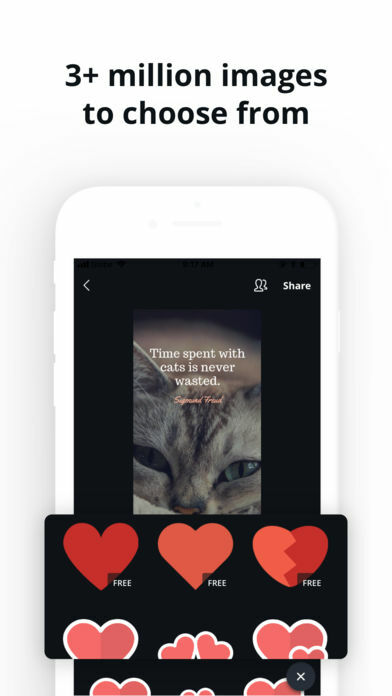 * Get more love for your social media using images that make your brand and your life look great: Instagram Story and posts, Facebook posts and covers, Twitter posts and headers, YouTube channel art and thumbnails. 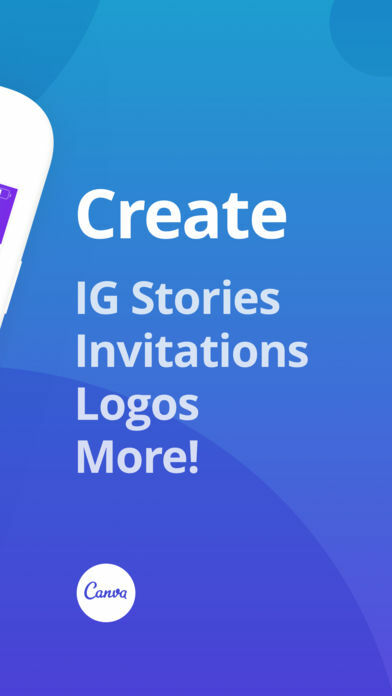 * Impress your friends by sending professionally designs invitations, cards, photo collages or WhatsApp Status. 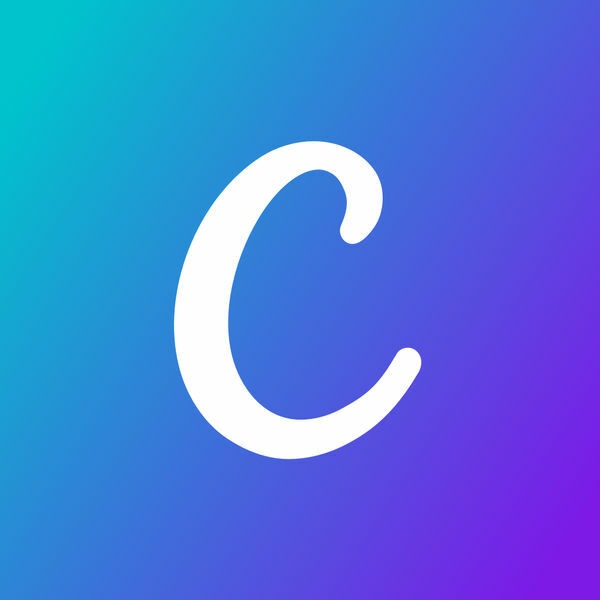 * And Canva is available on your iPhone, iPad and computer so you can make, edit and share your designs anywhere, anytime. There’s no need to start from scratch (but you can if you like), we’ve got thousands of free ready-made templates and photo grids created by professional designers to get you started on your invitation, logo, card, poster, social media images, photo collage and more. 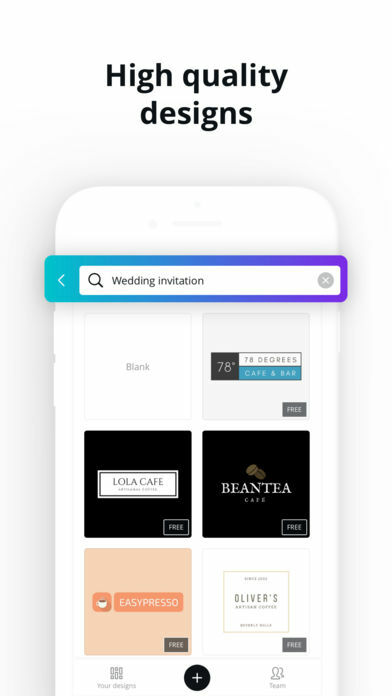 You can browse through popular designs or speed things up by searching for a style or event you’re looking for e.g. “birthday card”, “wedding invitation”, “cafe logo”, “marketing presentation”, “music poster” and more. Once you have your template, personalize it by adding your own images, text, fonts and colors. 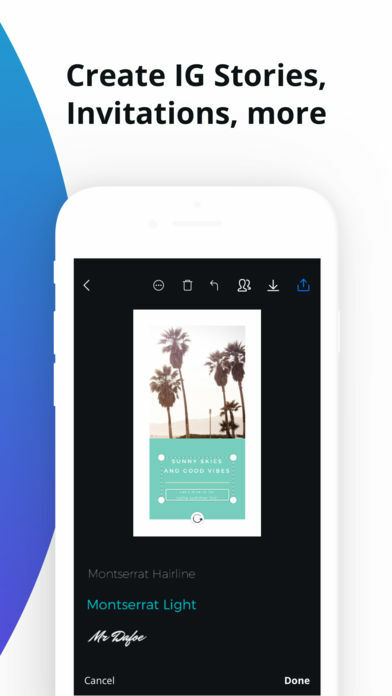 Take your photos to the next level with Canva’s simple photo editor. 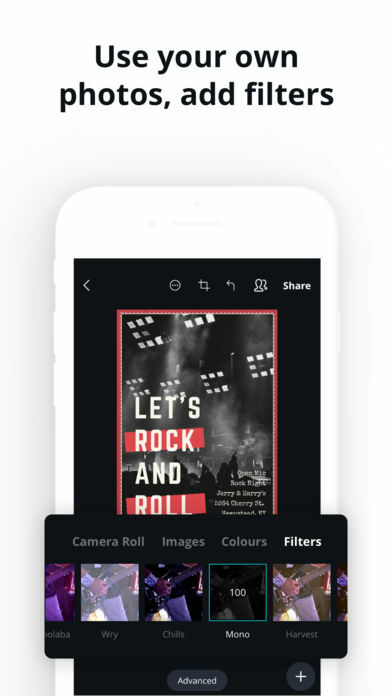 You can edit your photos using ready-to-go filters or get a little more advanced by adjusting brightness and contrast with our photo editing tools. 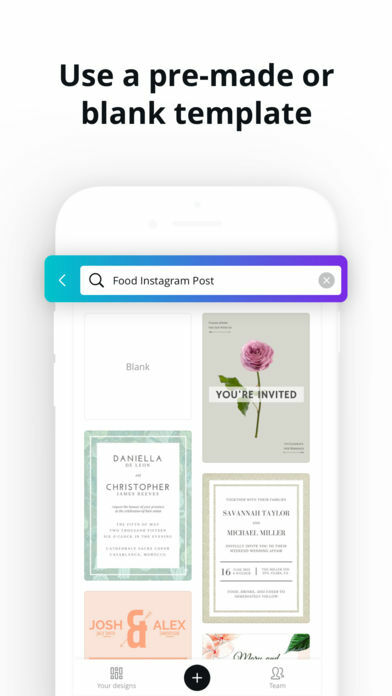 It’s easy to design social posts that pop while presenting a consistent look and feel in your marketing materials by using the same filters for your brand images. 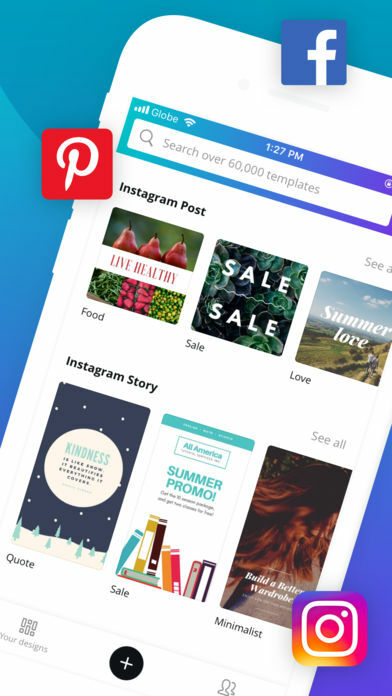 Share directly to your favorite social media accounts including Instagram Story, Instagram Post, Facebook Story and Facebook Post, Twitter, Pinterest. 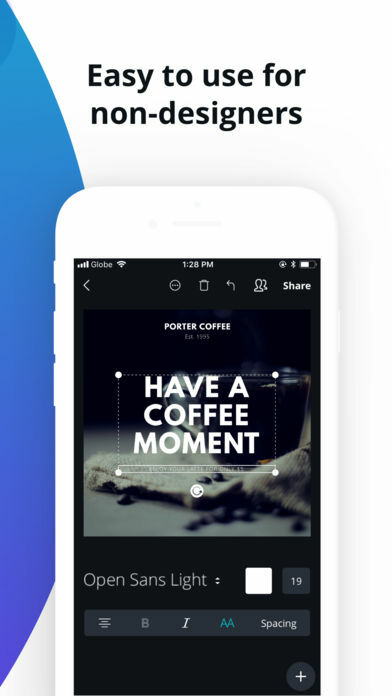 Or, save your design to your device and share via email, text, WhatsApp and more. If your Images Pro subscription is cancelled or ends for any reason you will no longer be able to access or use the media that form part of the subscription in any online platforms (such as any websites or social media platforms). However, you may continue to use the photos in any downloaded or physical versions of your designs (such as PDFs, JPGs or printed copies). Payment will be charged to your iTunes Account at confirmation of purchase. Subscriptions will automatically renew unless auto-renew is turned off at least 24 hours before the end of the current period. The account will be charged according to your plan renewal within a 24-hour period prior to the end of the current period. You may cancel automatic renewal and manage your subscription by selecting Manage App Subscriptions in your iTunes Account settings and selecting the subscription you want to modify. The cancellation will take effect the day after the last day of the current subscription period, and you will be downgraded to the free service. Any unused portion of a free trial period, if offered, will be forfeited when you purchase a paid subscription, where applicable. Got questions or comments? Get in touch using http://canva.me/support. We’re here to help!